We, Heartfulness Education Trust, are committed to protecting and respecting your privacy. This policy sets out the basis on which any personal data we collect from you, or that you provide to us, via our website, mobile apps, voice-based apps and other digital media and when you attend our events, make donations or interact with us in some other way will be processed by us. For the purposes of European Economic Area data protection law, (the “Data Protection Law”), the data controller for your personal data is HEARTFULNESS EDUCATION TRUST, 40-15-9/12 NANDAMURI ROAD, VENKATESWARAPURAM PO, VIJAYAWADA, ANDHRA PRADESH – 520010 and being a Registered as Tax-exempt non-profit corporation status under Companies Act, 2013 and rule 8 the Companies (Incorporation) and public charity. We are part of an international charitable organisation dedicated to bringing Heartfulness meditation to improve people’s lives. We will share your personal data for the purposes set out in this policy with the our affiliate organisations across the world. More details about the sharing of data with our affiliate organisations can be found in the “Who we give your information to” section. This is information about you that you give us by filling in forms on our Website/App or by corresponding with us by phone, e-mail or otherwise. It includes information you provide when you register to use our Website/App, subscribe to our service, search for a product, place an order on our Website/App, participate in discussion boards or other social media functions on or via our Website/App, enter a competition, promotion or survey, submit a query, and when you report a problem with our Website/App. The information you give us may include your name, address, e-mail address and phone number, financial and credit card information, personal description and photograph, login and password details. Information about your visit may include the full Uniform Resource Locators (URL), clickstream to, through and from our site (including date and time), products you viewed or searched for, page response times, download errors, length of visits to certain pages, page interaction information (such as scrolling, clicks, and mouse-overs), methods used to browse away from the page, and any phone number used to call our customer service number or social media handle used to connect with our customer service team. Location data – we collect information through the Website/App as to your real time location to provide location services where requested or agreed to by you in order to allow tagging, allow check-in, deliver content, advertising or other services such as event information that are dependent on knowing where you are. This information is/may also be collected in combination with an identifier associated with your device to enable us to recognise your mobile browser or device when you return to the site/App. Delivery of location services will involve reference to one or more of the following: (a) the coordinates (latitude/longitude) of your location; (b) look-up of your country of location by reference to your IP address against public sources; and/or (c) your Identifier for Advertisers (IFA) code for your Apple device, or the Android ID for your Android device, or a similar device identifier. If you use any of the other websites or apps we operate or the other services we provide. Where you use the meditation services of other Heartfulness organisations around the world. From third parties we work closely with. In this case we will have informed you when we collected that data if we intend to share your data internally and combine it with data collected on this site. We will also have told you for what purpose we will share and combine your data. We will be combining the data we receive from other Heartfulness organisations when you register for events online or in our meditation centres, when you make enquiries through email, Website/App or other communication channels or when you volunteer with any of our affiliate organisations. We are working closely with third parties (including, for example, sub-contractors in technical, payment and delivery services, advertising networks, analytics providers, and search information providers). We will notify you when we receive information about you from them and the purposes for which we intend to use that information. Most web browsers automatically accept cookies and similar technologies, but if you prefer, you can change your browser to prevent that and your help screen or manual will tell you how to do this. We also give you information about how to disable cookies here. However, you may not be able to take full advantage of our website if you do so. A number of cookies and similar technologies we use last only for the duration of your web or app session and expire when you close your browser/or exit the Website. Others are used to remember you when you return to the Website/App and will last for longer. We use these cookies and other technologies on the basis that they are necessary for the performance of a contract with you, or because using them is in our legitimate interests in improving our Website/App and engaging in a focused way which understand our users (where we have considered that these are not overridden by your rights). Strictly necessary cookies. These are cookies that are required for the operation of our website and under our terms with you. They include, for example, cookies that enable you to log into secure areas of our website/App, use a shopping cart or make use of e-billing services. Analytical/performance They allow us to recognize and count the number of visitors and to see how visitors move around our website/App when they are using it. This helps us for our legitimate interests of improving the way our website/App works, for example, by ensuring that users are finding what they are looking for easily. Functionality cookies. These are used to recognize you when you return to our website/App. This enables us, subject to your choices and preferences, to personalize our content, greet you by name and remember your preferences (for example, your choice of language or region). The effect of disabling cookies depends on which cookies you disable but, in general, the website may not operate properly if all cookies are switched off. If you only disable third party cookies, you will not be prevented from making purchases on our Website. If you disable all cookies, you will be unable to complete a purchase on our Website. Content from our site/app is presented in the most effective manner for you and for your computer. we provide you with the information, products and services that you request from us. To administer our Website/App and for internal operations, including troubleshooting, data analysis, testing, research, statistical and survey purposes. To keep our Website/App safe and secure. To improve our Website/App to ensure that content is presented in the most effective manner for you and for your computer. We will combine this information with information you give to us and information we collect about you in our legitimate interests (where we have considered that these are not overridden by your rights). We will use this information and the combined information for the purposes set out above (depending on the types of information we receive). Where permitted in our legitimate interest or with your prior consent where required by law, we will use your personal information to provide you with promotional update communications by email, post and telephone about our products and services. 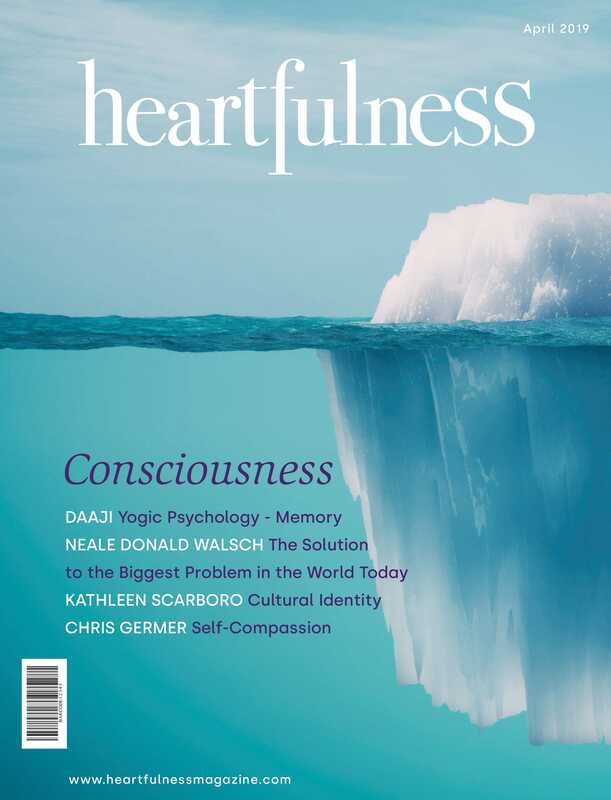 For our legitimate interests, having considered any impact on your interests and rights, for instance in promoting our organisation and the Heartfulness mission, in requesting and processing donations to fund our activities, to learn from our participants, donors and volunteers so we can improve our Website/App, our meditation sessions and education and their general experience of Heartfulness. Healthfulness Institute India, a India based non-profit corporation, is a part of the Heartfulness worldwide organisation and takes responsibility for the IT, web hosting and related support and other services and it, and through it, its IT and technology suppliers will process your information for the purposes of this policy. Organisations who process your personal data on our behalf and in accordance with our instructions and the Data Protection Law. This includes in supporting the services we offer through the Website/App in particular those providing website and data hosting services, providing fulfilment services, distributing any communications we send, supporting or updating marketing lists, facilitating feedback on our services and providing IT support services from time to time. These organisations (which may include third party suppliers, agents, sub-contractors and/or other companies in our group) will only use your information to the extent necessary to perform their support functions. Analytics and search engine providers that assist us in the improvement and optimisation of our site and subject to the cookie section of this policy (this will not identify you as an individual). Payment processing providers who provide secure payment processing services. If we merge with another organisation or are re-organised in order to sustain or further the Heartfulness mission and substantially all of its assets are acquired by a third party, in which case personal data held by us will also be transferred to the other organisation. If we are under a duty to disclose or share your personal data in order to comply with any legal obligation, or in order to enforce or apply our terms of supply terms and other agreements with you; or to protect the rights, property, or safety of Heartfulness India, our customers, or others. This includes exchanging information with other companies and organisations for the purposes of fraud protection and to prevent cybercrime. Redirects – You may be re-directed to one of our affiliate or partner links to facilitate services. Heartfulness Institute may share your personal information with it’s partner or affiliates to process information, complete transaction, generate invoice or receipts or issue cards on behalf of its partners or channel partners or third parties for free or for a fee. The data that we collect from you may be transferred to, and stored at, a destination outside the European Economic Area (“EEA”) that may not be subject to equivalent Data Protection Law. In order to enable us to provide the services and guidance you ask of us, this includes events, meditation sessions, processing of payment details, and the provision of support services. We may transfer your personal information to the following countries outside the EEA: India, USA. Where we share your data with other Heartfulness entities outside the EEA, we have signed EU-approved standard contractual clauses with each of them to safeguard your information. The Website/App may, from time to time, make chat rooms, message boards, news groups and/or other public forums available to its users. Any information that is disclosed in these areas becomes public information and you should exercise caution when using these and avoid posting any personal information. The Website/App is intended for use only by persons who are at least 18 years of age. By using the Website/App, you confirm to us that you meet this requirement. If you are under the age of 18, you confirm you have received permission from your parent or guardian before using this site/App or sending us personal information. All information you provide to us is stored on our secure servers. Any payment transactions will be encrypted using SSL technology. Where we have given you (or where you have chosen) a password which enables you to access certain parts of our Website, you are responsible for keeping this password confidential. We ask you not to share a password with anyone. Unfortunately, the transmission of information via the internet is not completely secure. Although we will do our best to protect your personal data, we cannot guarantee the security of your data transmitted to our Website; any transmission is at your own risk. Once we have received your information, we will use strict procedures and security features to try to prevent unauthorised access. Our site/App may, from time to time, contain links to external sites. We are not responsible for the privacy policies or the content of such sites. We retain personal data for as long as you are a registered meditator, donor or volunteer with us in order to meet our contractual obligations to you in our legitimate interests for as long as is permitted under Data Protection Law for instance in order to comply with our legal obligations. We may also retain aggregate information beyond this time for research purposes and to help us develop and improve our services. You cannot be identified from aggregate information retained or used for these purposes. You can also exercise the rights listed above at any time by contacting us at support@heartfulness.org. For the purposes of European Economic Area data protection law, If your request or concern is not satisfactorily resolved by us, you may approach your local data protection authority, (see http://ec.europa.eu/justice/data-protection/bodies/authorities/index_en.html ). Your data protection authority can provide further information about your rights and our obligations in relation to your personal data, as well as deal with any complaints that you have about our processing of your personal data. © Copyright 2019, Site is owned & operated by Heartfulness Education Trust.